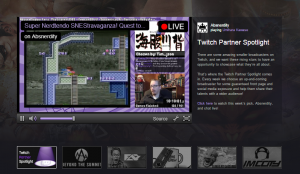 Given how much traffic it draws — to say nothing of suitors — it was inevitable that Twitch.tv would attract competitors. And now it has. Paris-based Dailymotion on Wednesday announced the launch of Dailymotion Games, a new live-streaming platform dedicated to gaming (h/t VentureBeat). 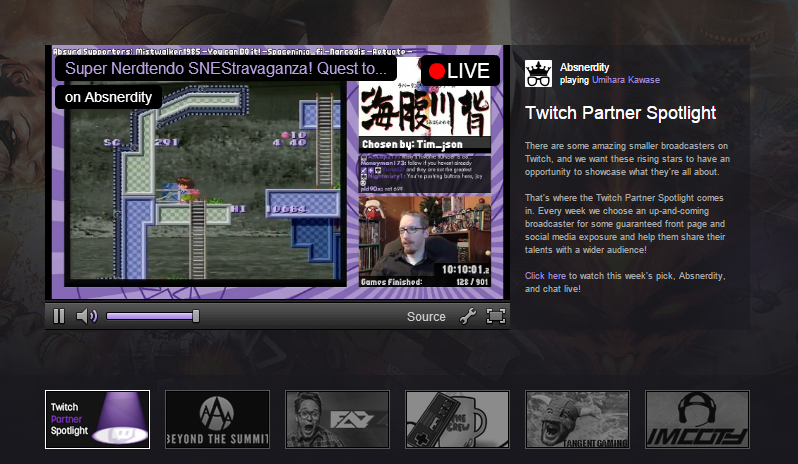 The platform also incorporates a chat system to allow for real-time conversations between live streamers and viewers. Though no slouch, Dailymotion has set itself a major challenge going up again Twitch and the financial resources of its parent company, Amazon. But the competition seems already to have gotten Twitch’s attention. The day before Dailymotion issued its press release announcing Games, Twitch unveiled its new Partner Spotlight program meant to help boost the profiles — and ideally monetization proprospects — of selected partner broadcasters. “With over a million broadcasters streaming on Twitch, we will be hard at work finding the hidden gems and rising stars that we think could best retain some of the growth that this increase in exposure would bring,” Twitch content marketing coordinator Brandon Ewing wrote in a blog post. While anyone can broadcast their game-play on Twitch, only officially designated partners are able to generate revenue from their efforts, through the platform’s advertising revenue-sharing program. With another major platform coming online competition for the most popular broadcasters — and the traffic they draw — is likely to arise, putting a premium on keeping the top talent happy. Thus, the new Partner Spotlight program. While traditional sports have played a major role in the development of live, OTT streaming, those efforts remain silo’d to their particular sports (with the notable exception of MLB Advanced Media) and have followed the traditional broadcast model of a single rights owner broadcasting to a mass audience. While Dailymotion Games and Twitch are both focused on gaming, they’re built on the model of user-generated content platforms. As competition between them (and potentially others) heats up it could begin to steer the development of the live OTT space in a different, more open direction.